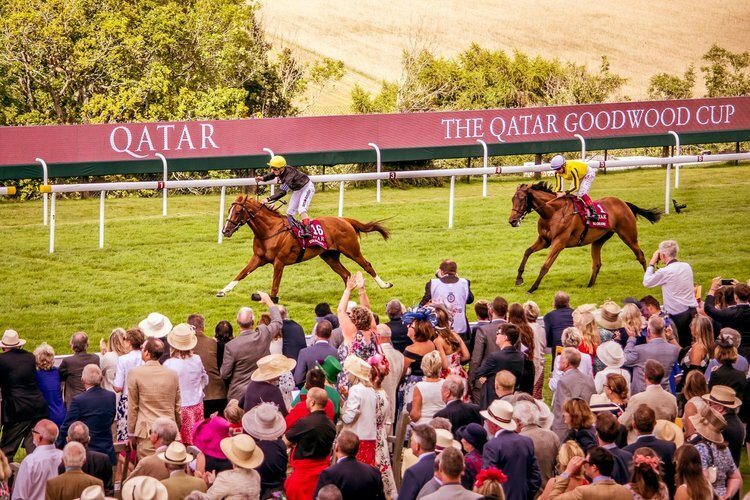 The 2k to 10K Betting Challenge continues on Tuesday with Day one from Glorious Goodwood . The betting bankroll stands at £2114 (+£114) after another second with Projection just getting beat on nod in Hackwood stakes at Newbury . Been a real struggle to find winners on turf this season,with far too many seconds & thirds ,though on positive note we are still showing small profit on the challenge .Hopefully we can get back on track at Glorious Goodwood this week . 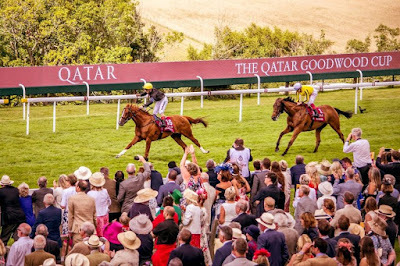 Moving on to Day one at Glorious Goodwood ,going to concentrate on Lennox Stakes at 3.00 .12 runners declared for group two over 7 furlongs on ground described as good .This looks competitive contest the three main contenders are Sir Dancelot ,Suedois & Tip Two Win . SIR DANCELOT : 4-Y-0 Bay Gelding ,winning 6 out 22 .Been in good form this season winning twice ,including winning the 7f group 3 Criterion Stakes at Newmarket in June .Also finished creditable fourth of 13 behind US Army Flag,in group 1 July Cup at Newmarket last time.Should be thereabouts . SUEDOIS : 7-Y-0 Bay Gelding ,winning 8 out 36 .Had some useful form last season ,winning the group two Boomerang Stakes at Leopardstown & grade one Shadwell Turf stakes at Keenland .Also finished creditable fourth in group one Breeders Cup Mile at Del Mar .Returned to form last time,finishing close third in G2 Summer Mile Stakes at Ascot .Solid each-way claims on pick last seasons form . TIP TWO WIN : 3-Y-0 Grey Colt ,winning 4 out 9 ,including winning listed race at Doncaster last season .Shown big improvement this season .including finishing excellent second behind Saxon Warrior in 2000 guineas at Newmarket .Also finished fair fourth in St James Palace Stakes at Royal Ascot last time. Should be suited by this drop in class . VERDICT : Tip Two Win will have his supporters ,having finished good second in 2000 guineas back in May.Ran fair race ,though never repeated that form in St James Palace stakes .Has to be respected receiving weight all round ,though others preferred . SUEDOIS should go well after finishing close third in Summer Mile at Ascot last time .Had some useful form last season ,including finishing close third in this race last year .Also is proven winner in group two company winning the Boomerang stakes in Ireland last September .Odds around 6-1 with Skybet paying 4 places, look decent each-way value .